These are easy and quick dollar store Halloween ideas anyone can do. 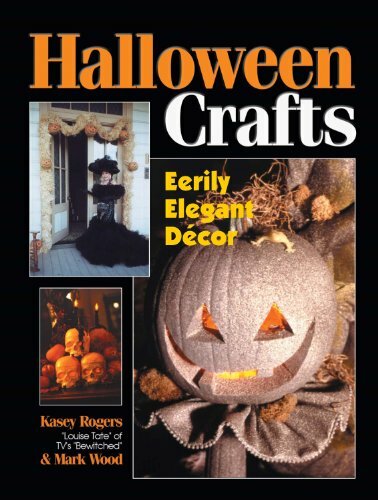 I’ve been looking for something easy to use on our entertainment center for Halloween. I didn’t want to buy a bunch of stuff that I’d never use again so instead I tried to find things I already had and supplement with a few small purchases from the dollar store. Halloween doesn’t have to be blood and guts and slasher movies. I’m not a big fan of anything too bloody, but I do like a few creepy elements like skulls or spiders. I already had a skull and several plastic spiders from years past in my props cabinet (for blog photos). This is what I used for my cheap Halloween decorations and where I found it. Here are a few more easy Halloween decor ideas in this video. Books – Spooky titles are best. This is one of my favorite dystopian book series and the titles were perfect. Candle – Don’t tell, but this is a Christmas candle I got at the dollar store. Anything would work, but blood red, black, gold, silver, etc. would fit the theme best. Large-mouth glass canister with a top – Mine previously held cupcake liners. I repurposed it for a few weeks. You can find them at the dollar store which is where mine came from originally. Make sure the opening is large enough for the skull to fit. 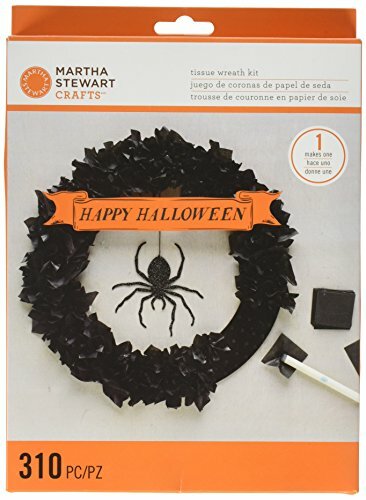 Spiders – You can find these at the dollar store if you don’t already have several in your Halloween box. Mini pumpkin – Mine is real from the farmer’s market, but they sell plastic ones at the dollar store if you don’t already have one. Plastic skull – Mine originally came from the craft store, but you can find them just about anywhere. Tall glass bottle with cork stopper – This is the bottle I make my flavored oils in, but I’ve seen them at a variety of different stores. The cork gives it a more authentic look. The little spider around the top is actually a plastic spider ring from the dollar store. You could use a variety of different elements in your Halloween decorating. I’ve seen people take quilt batting and shred it to look like cobwebs. If you have a piece of black lace, that would make a great tablecloth or runner for under the display. Use what you have in your Halloween decorating. Don’t feel like you need to run out and buy a trunk full of plastic Halloween decorations every year. 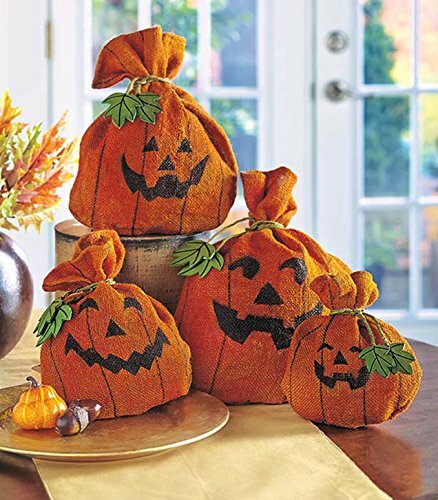 Just make these quick dollar store Halloween ideas. Oh I love the skull under glass Ellen! One of my fave shows is Bones and I'm still catching up on all the past episodes I missed! I was just at the 99 cent store today getting my sister's birthday card. I found an awesome one too and Yoplait nonfat plain yogurt, 2 lbs for a dollar! I love that store. It is a nice one but there are some crappy ones elsewhere I know. The one close to me has some awesome Halloween stuff but I have enough myself and can't store anymore! It's fun to look though. Thanks for your holiday posts--I do enjoy them all. I'm so glad you're enjoying them, Deb. They are fun to do! Thanks, Rachel. You could do a pumpkin or Jack O Lantern under the glass if you prefer.